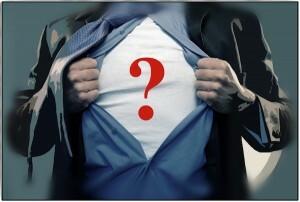 Consider the Stars » Blog Archive » Who Am I? 1. While everyone else is proclaiming their grief and sorrow to be the most formidable, I am grieved for their grief. Who am I? The answer to this clue could be anyone with a compassionate heart, but before you consider an answer ask yourself this. Who among us, when hearing of someone else’s hardship, is not inclined to one-up them with a greater experience of their own? People are by nature competitive. They prominently display their trophies and use even their misfortune to win a dubious place of honor. The immature will be inclined to see themselves as the subject of attention not because of the truth but because of their self-centeredness. That is not to say they or their selfishness are bad. Selfishness is just an initial step on the stairway leading to maturity. No one can be expected to be unselfish until they are first taught to trust. The real difficulty lies in finding something trustworthy. The easiest way to find something trustworthy is to be trustworthy, which, unfortunately, is not as easy as it would seem, especially with so few good examples to follow. 2. I am often sad and lonely because my instruction usually falls on deaf ears or else the hearer does the opposite to spite me. Who am I? The act of doing the opposite of what is instructed is rebellion. The cause is mistrust which is to say disbelief. The result of rebellion, however, is very interesting. Just as belief requires something in which to trust, disobedience requires something to rebel against. For example: The religious give credence to the existence of God through faith, but, remarkably, so does the atheist through his rebellion. 3. I know right from wrong and, through perspective, have counseled the wise and the fool, the common and the king. Who am I? This clue implies a wide and diverse circle of influence. The individual who proclaims to have personally developed a system of morality makes himself a fool. However, foolishness has always plagued those influenced by fame, fortune or delusion. Apart from God, humans have never been nor will they ever be qualified to establish a moral standard. There will always be an inherent problem when man is responsible for both establishing law and judging on behalf of himself. 4. I am appreciated less as time goes on. There are many who hate me and spare no expense to destroy me. Who am I? It is inevitable whatever we seem to possess in abundance will be eventually taken for granted. As unlikely as it would be for most of us to be the answer to the riddle, the narcissist in us pauses to consider how little we are appreciated to the point others are threatened by our goodness, knowledge and authority. So, what is the answer? God – or a Godly level of maturity which a Christian could possess. However, surprisingly, the clues could also apply equally well, although superficially, to a non-believing narcissist. It would appear the key difference between the behavior of the atheist narcissist and the mature Christian is one glorifies God while the other does not. The underlying difference is the mature Christian understands he cannot possess something which belongs to someone else (e. g. goodness, truth, knowledge, etc.). Such things can, however, be borrowed – provided proper tribute is paid to the owner and guaranteed only when used according to the manufacturer’s specifications. The difference in how the two are treated is far more evident and extreme. The word of God tells us the Christian (i.e. one who confesses and accepts the saving grace of God through Jesus Christ) will be persecuted. The opposite is true for the narcissist. The narcissist may claim to be persecuted, however no one has ever been decapitated, burned alive or crucified because of their lack of faith in God. In order to feel good about himself, the narcissist will reject God in order to claim the role of lord over his life. By doing so, he rejects wisdom and truth and forfeits being an extension of God’s grace and power. But such things matter little when the goal is not to be good but to feel good and is accomplished by the appearance of looking good and reinforced by the admiration of the world, which is the Achilles heel for an egotist – Delusions must be fed. There is overwhelming evidence confirming the acknowledgement of God as Lord is the clear wise ch0ice and yet so many remain adamantly opposed to relinquishing control. The answer to why is found in Isaiah 55,8-9 For my thoughts are not your thoughts, neither are your ways my ways, saith the Lord. For as the heavens are higher than the earth, so are my ways higher than your ways, and my thoughts than your thoughts. God will often prescribe something be done which is uncomfortable and even seemingly unrelated to the issue at hand. Mature Christians will obey because they understand their perspective is limited, but, understandably, this counter-intuitive behavior may make the Christian appear ill-informed and weak. But better to appear to be weak than rely on the liberally charged media for good council. Another element which separates the Christian from the narcissist is not how they receive praise but what they do with it once it is given. There is nothing wrong with encouragement. Suffice it to say it is most effective in the earlier stages of the maturation process and can be detrimental once maturity is achieved. Those who feel they deserve praise at the end of their process should study the lives of Miley Cyrus, Whitney Houston and all the pastors and evangelists who have lost their influence at the pinnacle of their careers due to lustful indiscretions after countless hours of work, prayer and sacrifice. What do all who have fallen in disgrace have in common? They were all praised by a large following (or felt they deserved to be) when they should have been more receptive to criticism. To insure protection, the first thing any responsible person must admit is to having a blind spot. Only Christians can ask themselves how well they know God. But even if a Christian has read, studied and comprehended the Bible, how well can you know an infinite being? The Christian who believes they know God deceives himself. Even after listening to preachers all their life, they could have fallen into the trap of following someone else who appears to know God and failed to establish a relationship with God themselves. In other words, Will Smith may be familiar to me. I may recognize his voice and face. The characters he portrays may make me feel like he is my friend, but, if I ask him for money he will undoubtedly refuse because we do not have a relationship. There is therefore a vast difference between knowing Jesus Christ and knowing of Jesus Christ. The narcissist has a distinct disadvantage compared to a Christian. The narcissist’s chief resource is based on his own ability to sort through truth and error. The Christian draws from over five thousand years of instruction freely available in the Bible. If Christians can fall short due to a lack of knowledge of God, it stands to reason a narcissist could fail due to a lack of self-awareness. How well do we really know ourselves? Are we not all receptacles of influence from unreliable sources? If we cannot know ourselves, how can we be trusted to be lord over ourselves? Who am I? When all is said and done, will I be a cautionary tale or a delight to God and the saints who preceded me? Will I accept the challenges set before me for my good and the glory of God or intoxicate myself in self-indulgence? Will I feed on the holy word of God or the praise of men? Will I leave anything which will survive the test of time? Will my life matter? Who are you? Are you a God pleaser or a man pleaser? Do you go to church to improve your vision or to be seen? You are either a child of God, heir to a Godly inheritance, or you are not. You are either on the road to becoming a mature Christian or an atheist narcissist. If your Christian feet stumble and land you in the realm of narcissism – good news. No one will know the difference. Perhaps not even you. If you are a fallen narcissist, rest well. No one will ever bring you so low as to accuse you of being a mature Christian.